elvis - the early years! Blue Suede Shoes - Don't Be Cruel - Love Me Tender - Jailhouse Rock - It's Now Or Never - Wooden Heart - Return To Sender - Viva Las Vegas - Suspicious Minds - and many, many more!! Luna Lounge is delighted to introduce Matt Cage to the Riviera Nayarit performing his incredible tribute show, 'Elvis - The Early Years'. His wonderful costumes, hairstyles and facial expressions make this a show to remember, but what makes it truly outstanding are his voice, attitude, body-language and interaction with the audience during the show! For every minute of every show Matt exudes the look, sound and energy of Elvis! 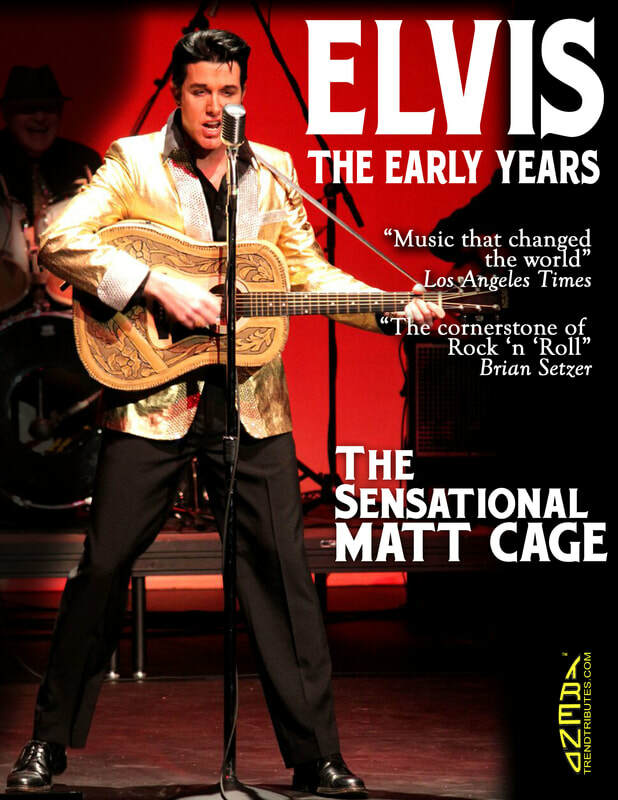 ​Matt Cage has won top honours at Elvis Festivals across the continent. This will be a hot-ticket event so get your tickets early to avoid disappointment!! We will be serving a full Turkey Dinner with all the trimmings. If you have special dietary requirements please let us know on your booking form. Thank you!